Antonio Granados is the president of Reserva del Mar Development and Foundation. He has pursued a career involving a range of professional, civic, and nonprofit activities. Professionally, he is a pioneer in the development of real estate in the South Pacific coast of Nicaragua, where he contributed to the creation of projects such as the Rancho Santana and Los Perros beachfront gated communities. In addition to his business ventures, Mr. Granados serves in the Board of the Roberto Clement Clinic. 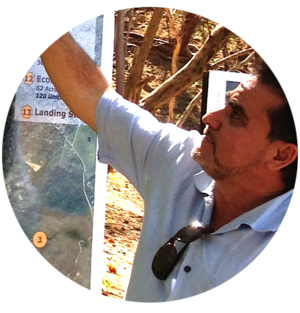 His vision is to create a profitable business oriented towards human sustainable development, through the integration of nature and technology, in communities of the South Pacific coast of Nicaragua.